I used to tell my husband instead of spending a fortune on cut flowers, please buy me a rose plant. Better yet, let's go to a local nursery and pick one out together. 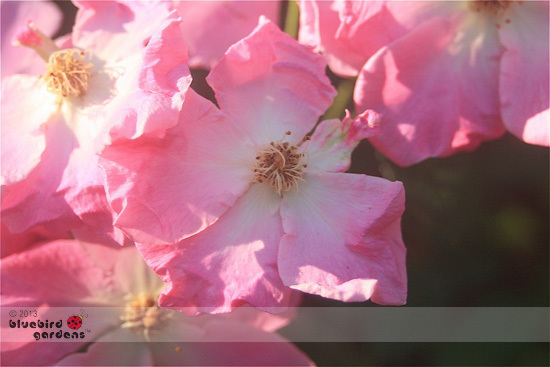 Once planted in right conditions, roses will bloom for years, providing a regular supply of cut flowers. Check with your local garden club or master gardener to find out what roses do best in your USDA growing zone. Better yet, you may have native roses. These are rosa setigera or "prairie rose," a Missouri wildflower often found along roadsides, fences and rights-of-way. I invited a start into my garden many years ago. They now grow in a garden corner and bloom for several weeks mid-spring.